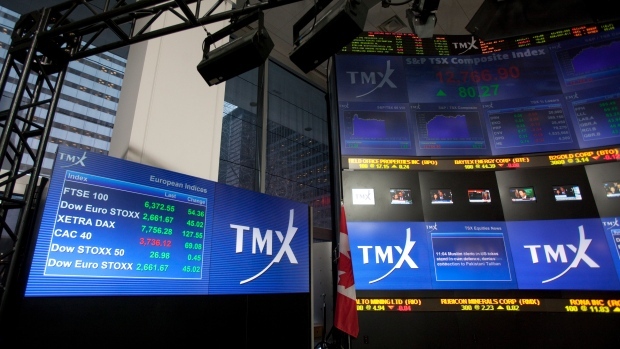 The TSX Composite Index enters a new week riding a five-session winning streak. After gaining 294 points (1.83 per cent) last week, Canadian stocks are sitting 172 points shy of a new record close. We’ll get market insight this morning from Middlefield Capital Chief Investment Officer Dean Orrico on The Street. Barrick Gold released the information circular for its annual meeting late Friday afternoon, showing Executive Chairman John Thornton’s total compensation surged to US$12.9 million last year from $7.7 million in 2017. Base pay was unchanged at $2.5 million, but his bonus more than doubled – with a nod in the circular to his “vision, determination and drive.” We’ll chase reaction. Toronto’s second legal cannabis store opened yesterday. Already beset by financial difficulties, Ameri’s debut was also marred by a “little bit of a glitch.” We’ve got CTV’s report on the bumpy roll out of brick-and-mortar in Canada’s largest city. -Maple Leaf Foods announced another expansion of its plant-based protein business this morning, with plans for a US$310-million processing plant in Shelbyville, Indiana. The company secured US$50 million in grants and incentives, plus US$40 million worth of “operational support”. -GE shares are down more than six per cent in pre-market trading after an analyst at JPMorgan cut the stock to underweight from neutral, and set his price target at US$5.00. -West Texas Intermediate and Brent crude are both trading marginally higher this morning amid unrest in Libya. The discount on Western Canada Select, meanwhile, narrowed to US$8.30/barrel on Friday. -A new RBC survey shows 56 per cent of Canadians say it’s better to wait until next year to buy a home, amid a widely-held belief that prices will fall. -Shares of Boeing are down ~three per cent in pre-market trading after the company trimmed its monthly 737 Max production rate. -The Caisse de dépôt et placement du Québec and Engie announced Friday evening they’d won the auction for Petrobras’s 90 per cent stake in the TAG natural gas pipeline business. Purchase price is US$8.6 billion. -Pinterest has set the price range for its initial public offering at US$15.00-US$17.00 per share. -Questerre Energy says it’s hunting for a Quebec-based strategic investor to help finance the development of natural gas assets in the province.